There was some recent discussion on the STMFC YahooGroups list concerning the likes and dislikes of cast on grab irons on resin freight car kits. 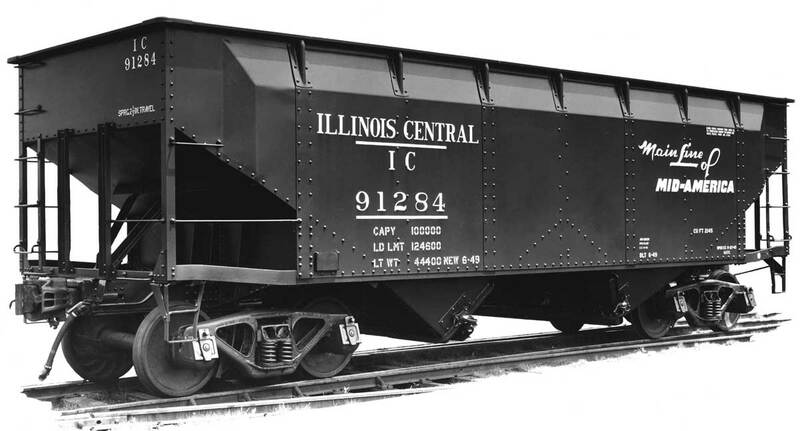 The March 2015 issue of Model Railroad Hobbyist mentioned in their news section that one of the future kits being considered by Resin Car Works (RCW) is an Illinois Central Twin Hopper with cast on grabs. One of my goals with RCW is to simplify the construction of resin freight cars to lower the cost and to make it possible for large fleets of such cars to be constructed. There are many freight car prototypes that won’t be made in plastic as the sales aren’t enough to recoup the cost of development and production. The only other economical means to produce such cars is with low production, low development cost, rubber molds and resin castings. Illinois Central prototype hopper image. 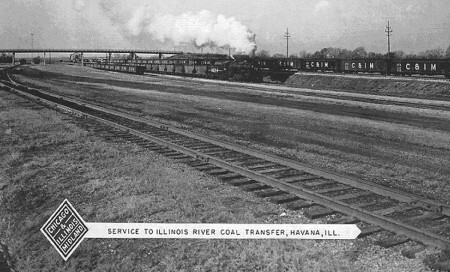 One of these cars is the Enterprise offset side twin hopper that was owned in large numbers by the Illinois Central. As a mid-fifties modeler whose layout is set in Central Illinois I need dozens of these IC hoppers for operations. I also have several friends that need dozens of these cars. 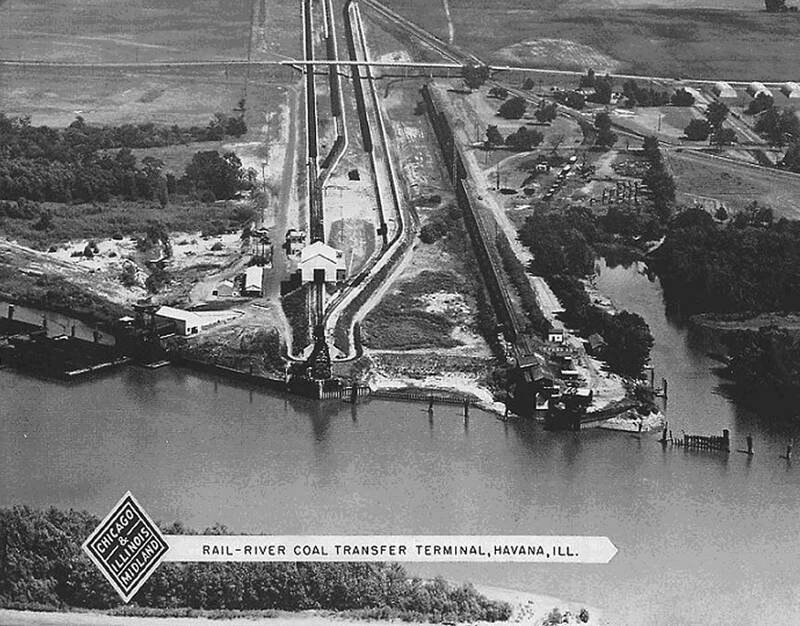 My operations are based on coal mines around Taylorville with the coal being moved to dumpers at Havana Illinois. Click on any image here to review a large size. These dumpers had a capacity larger then what the home road could supply so coal in other roads hoppers would be seen at this site. The two largest numbers of foreign road cars were from the New York Central and IC. If you look closely at the second photo you’ll notice a long string of NYC hoppers. To have a large number of IC hoppers on any layout, the construction had to be simplified which the cast on grabs has done. As RCW is a basement type businesses very short on available time, the choice was been made to issue only one kit with the cast on grabs. Those modelers who only desire one or two of these kits can easily remove the grabs just like on a plastic kit. Please leave a comment below and follow all of the required steps. All comments are moderated and will appear after approval. Marty Lofton. Best wishes for your new venture. I’ll be one of those looking forward to every new project announcement. Frank, I agree that the blog is a great idea. Also appreciate the direction you’re taking with the IC hoppers. I would order at least 3 FWIW. I have fond memories working for a short line in northern Illinois switching IC hoppers like these. All the best as you launch your new business. I like the idea of cast on grabs and simplified details. I seem to have ten thumbs and crossed eyes when it comes to tiny details. The idea of putting wire grabs and highly detailed brake gear sends shivers down my spine. Shake the box kits are more my speed but hopefully Frank can keep cast on details a bit finer than the mass produced kits makers. The blog is a great idea, Frank! It’s going to be something I’ll check in on every day, I’m sure. Seems clear to me! I just wish I could use those hoppers on MY layout! NC&StL had a very similar group that were slightly shorter in length, a compromise I can easily live with. Glad that these will be available.